The M.A.S.F. 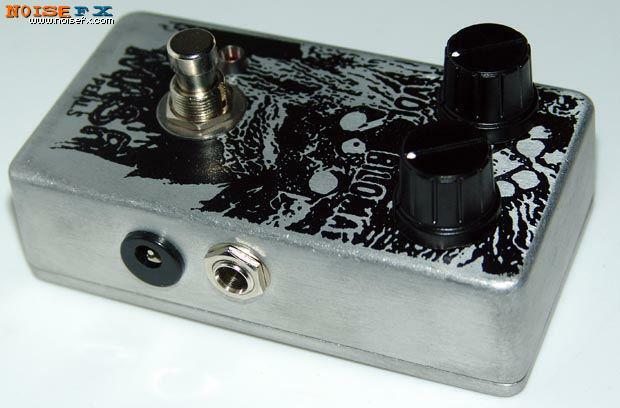 Biloma is an effect pedal designed to simulate the sound of sticky flem stuck in your throat. Sound degrades from a clean sound depending on how strong the input signal is. Operates with a standard 9-volt battery or a standard 9-volt DC power adapter with a 'barrel' type negative center tip. We recommend the Visual Sound 1 SPOT. 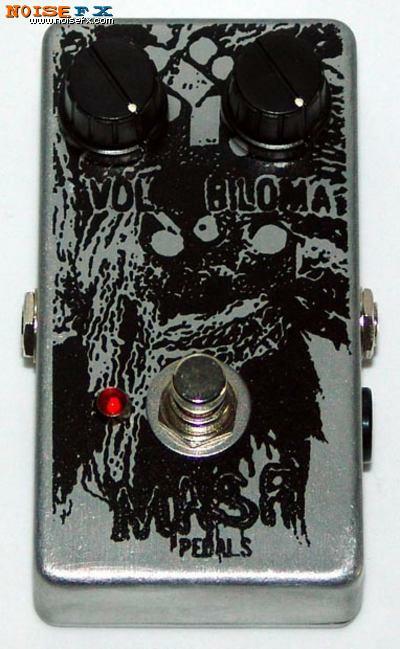 A noise loop is played through the Biloma. Tweaking the Biloma knob. A choppy noise loop using a contact mic is the sound source. A shaker device is the sound source.